Steps in the Adaptive Management cycle. Figure 1 from the article. Almost three decades have elapsed since the targets of environmental conservation and recovery expanded from species and habitats to entire ecosystems. This paradigm shift was prompted in part by recognition that focusing on species or habitats was not sufficient, that life-sustaining processes operate over much larger geographical scales, and interact among many more ecosystem components, than were typically provisioned for in conservation and restoration strategies prevailing at the time. But the concept of ‘ecosystems’ is itself a moving target, not only in that they continue to change and shrink to meet human needs for space and resources, but also in the sense that humans cannot be separated from Nature. Awareness has grown about the value and vulnerability to humanity of ‘ecosystem services’ (e.g. Biggs et al. 2012, Mace et al. 2012, Schneiders et al. 2012). Human well-being is belatedly gaining recognition as a prime objective in the management not only of ecosystems, but of complex ‘social-ecological’ systems (e.g. Schlueter et al. 2012, Summers et al. 2012). Making provision for climate change and sustainability now pervades our outlook (e.g. Bellard et al. 2012, Doney et al. 2012, Kiron et al. 2012). We are only beginning to learn how to conserve and restore ecosystems in the Anthropocene (Crutzen and Stoermer 2000). One feature of this movement that is little changed, at least in principle, is acceptance that the most effective approach to ecosystem management should be ‘adaptive’. Since its introduction in the late 1970s (e.g. Walters and Hilborn 1978), an adaptive approach has become the default mode of environmental management. Yet assessments of its performance state that implementation of adaptive management (AM) “has failed more often than not”, and AM has “failed to live up to its high expectations” (Allen and Gunderson 2011). This article focuses on adaptive management, addressing what it is, why it is the default approach in ecosystem management, why it can fail, and how it is being applied in the context of Puget Sound recovery. Georgiadis, N. (2016). 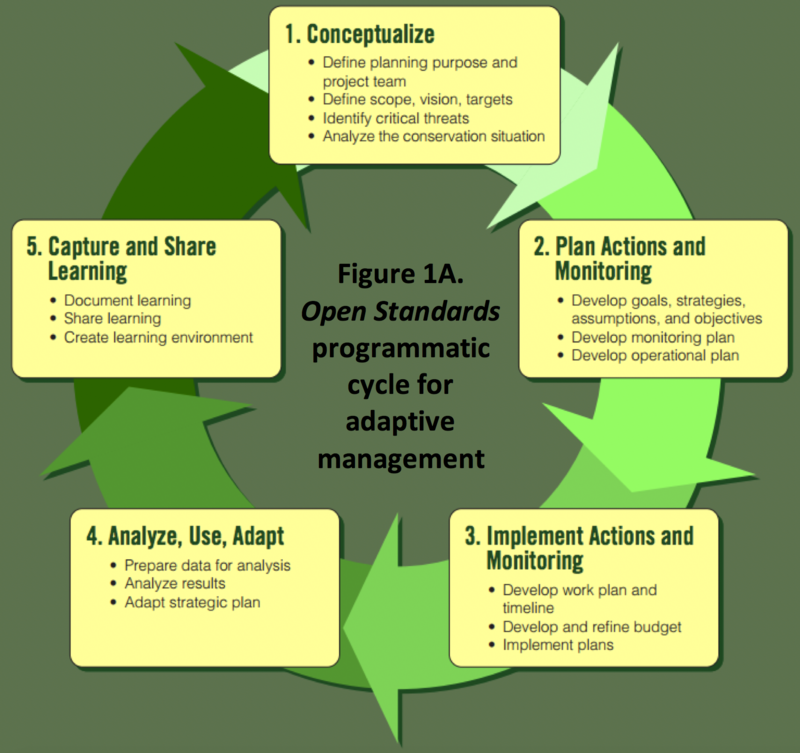 Adaptive Management: What, Why, and How? Tacoma, WA: University of Washington Puget Sound Institute. Nicholas Georgiadis is a research scientist with the University of Washington Puget Sound Institute.